When you access to your Windows, either Windows Vista or Windows XP, you will be greeted by a welcome page. 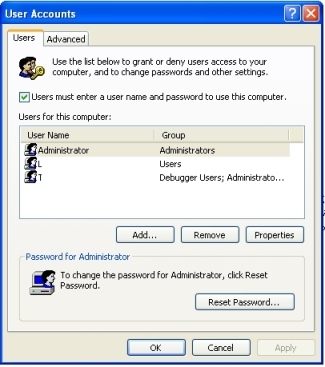 You need to enter your users or admin password to go in to the Windows. This process is mainly designed for security purposes. However, if you feel that going through this process is a bit irritated and annoyed, you can actually personalized your PC by allowing you to login automatic to your Windows without entering the password. 3. Select the user from which you want to login automatically and uncheck the box “Users must enter a username and password to use this computer”. 1. Go to start button. 4. Enter the password of the account in the box. 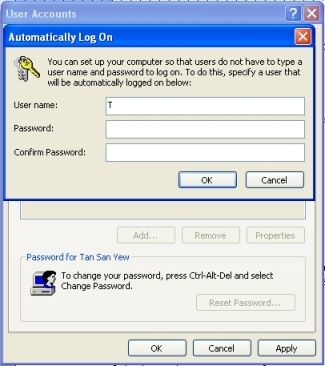 Once you have done it, you will login automatically whenever you access your computer.